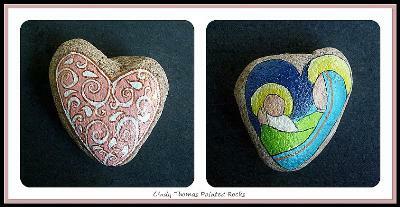 For those who celebrate Christmas in a warm climate, I painted this reversible rock with bright, non-traditional colors. 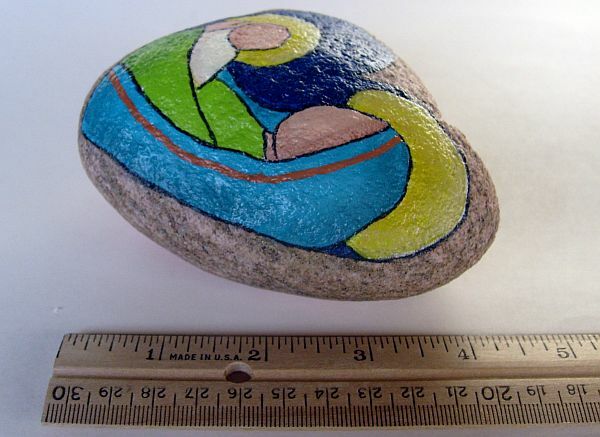 You can also display this painted rock year round. 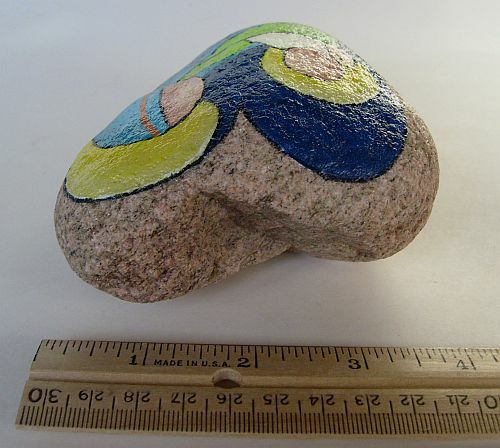 Width at widest part: 4"
I strive to make the colors shown as accurate as possible. Screen images should be used as a guide only. 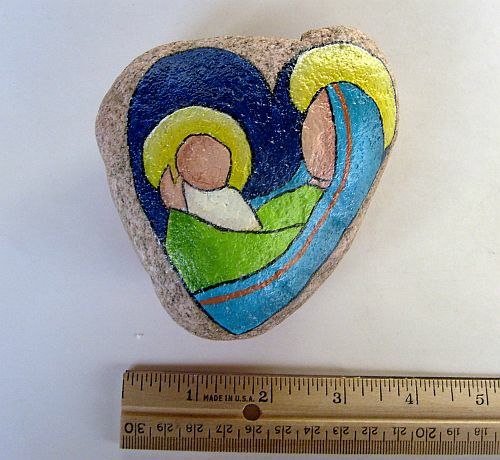 Refer to the item description below for the acrylic colors I used to paint this nativity set. 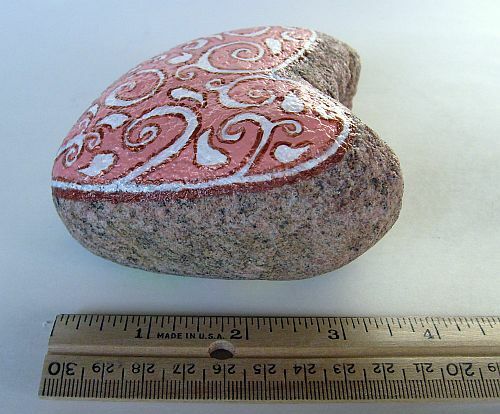 A rough, medium-sized, heart-shaped Colorado stone features a stylized Mother and Child hand painted on one side with a painted heart on the reverse side. On the front: The background is painted using "Navy Blue" acrylic paint. Mary's robe is painted in "Lime Tree" and her headscarf is "Bimini Blue" accented with a "Terra Cotta" stripe. 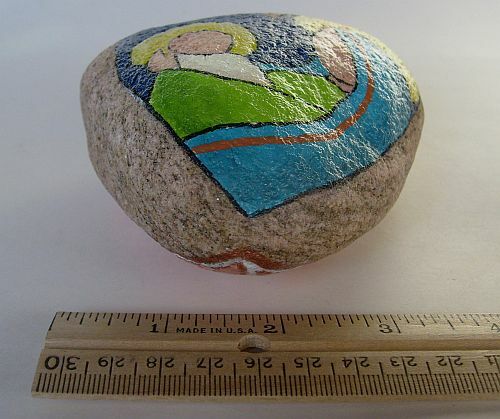 The swaddling clothes of Baby Jesus are painted with "Buttermilk" acrylic. Both Mary and Jesus have bright yellow halos. 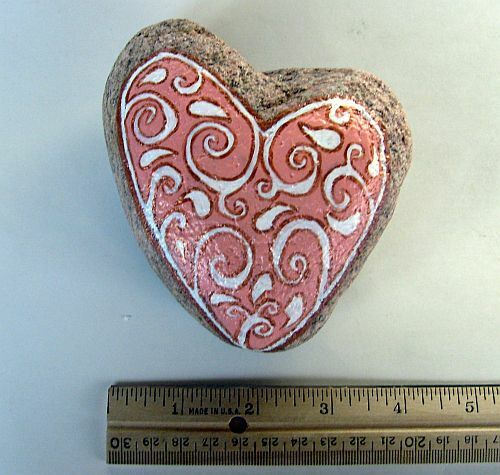 On the back: I used the natural shape of the stone to paint a heart using "Sweetheart Roses" acrylic. 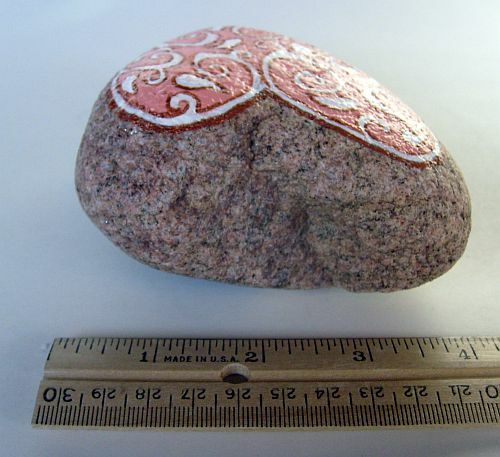 A lacy design was painted in white and the design was accented with metallic copper acrylic paint. When you click "Buy Now" you will be taken directly to my Storenvy.com product page for this item.